If we go by our historical turn-around in devices, I’m looking at being stuck with Windows Mobile until at least 2012, probably more like 2014. I kind of feel like I’m stuck under water with Microsoft’s boot on my head. 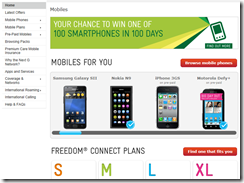 Well, it's 2012 now and Microsoft hasn't shown me anything like a roadmap to get me off Windows Mobile 6 for industrial mobile data entry applications, so 2014 is looking optimistic indeed as a target date to abandon Visual Studio 2008. 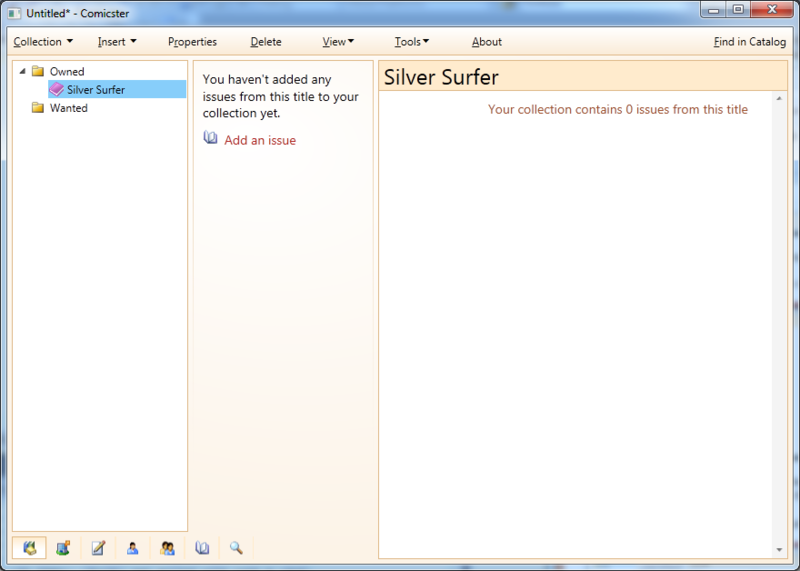 So that's Microsoft pulling the rug out from under my work development environment. Yesterday they did the same for my (future) home development environment. 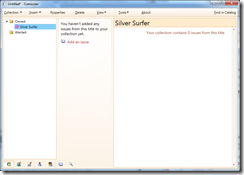 Visual Studio 11 Express for Windows 8 provides tools for Metro style app development. 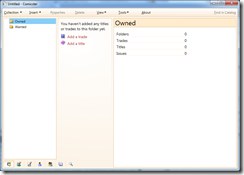 To create desktop apps, you need to use Visual Studio 11 Professional, or higher. So as of Visual Studio 11, open source developers will have no way to create traditional Windows desktop apps unless they continue to use Visual C# 2010 Express. I don't know what Microsoft are thinking. I guess they're trying to steer people towards developing Metro-style applications on Windows 8 and effectively deprecating traditional desktop apps. 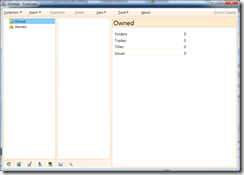 That's all well and good for new projects, but I have several free, open source desktop applications that I wanted to use Visual Studio 11 Express to further develop. So there's me, still underwater with Microsoft's boot on my head. 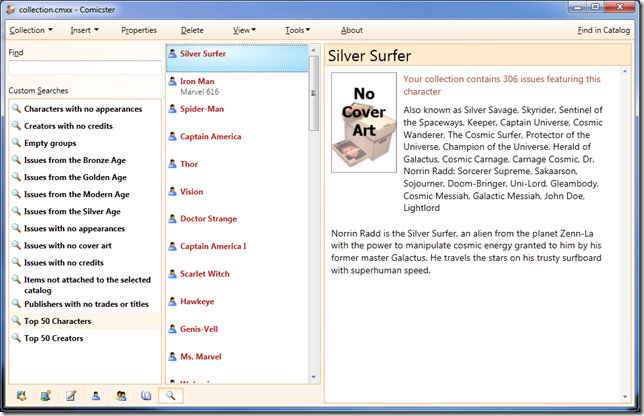 Was digging around on an old server today and found this screenshot from the program that would one day become Comicster. 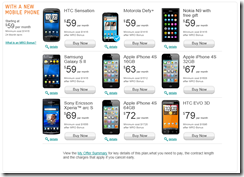 I thought you might get a kick out of it, especially compared to the same screenshot in the latest version. 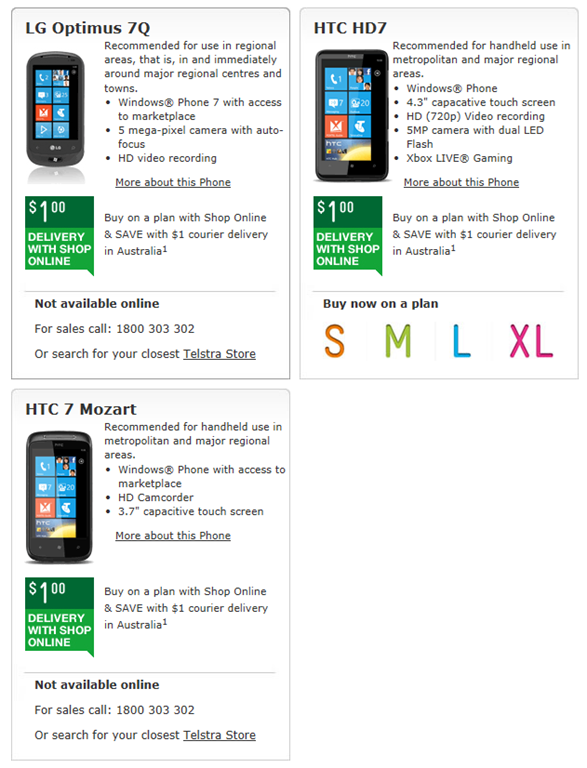 Want to sign up online for a Windows Phone 7 phone with Australia’s largest carrier? 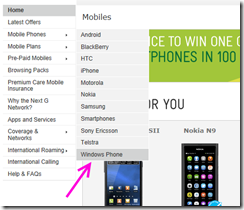 Microsoft Australia's "Major Launch Partner" for Windows Phone 7? Good luck! Edit! 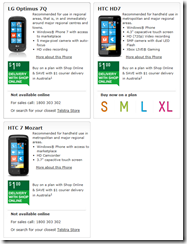 As predicted, Telstra have "fixed" the problem by removing the "Buy now on a plan" link entirely from the HTC HD7 on the Windows Phone 7 page. They don't even give you the illusion of caring now. Wait … where is it? 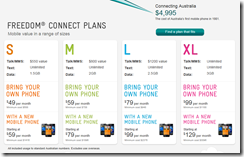 WHERE IS IT, TELSTRA? 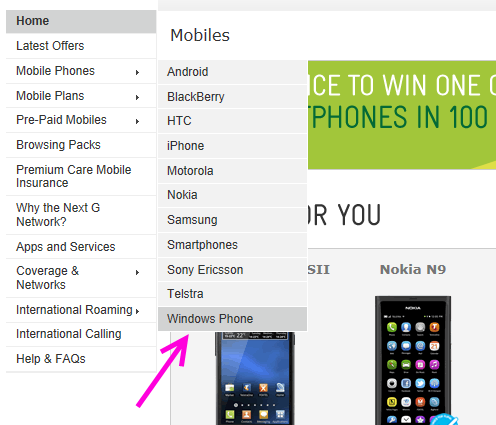 Is it any wonder that Windows Phone 7 isn’t taking off in this country? 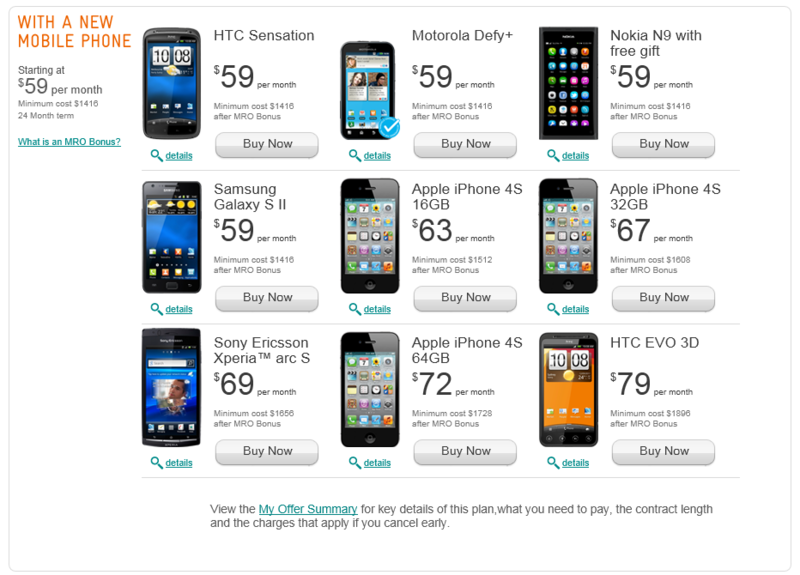 For fun, take a look at Optus’ website (which, if you can find the link, talks about “Windows 7” as a phone operating system) or Vodafone’s (which failed with an HTTP 408/409 Server Busy error while I was trying to even find a reference to Windows Phone 7). 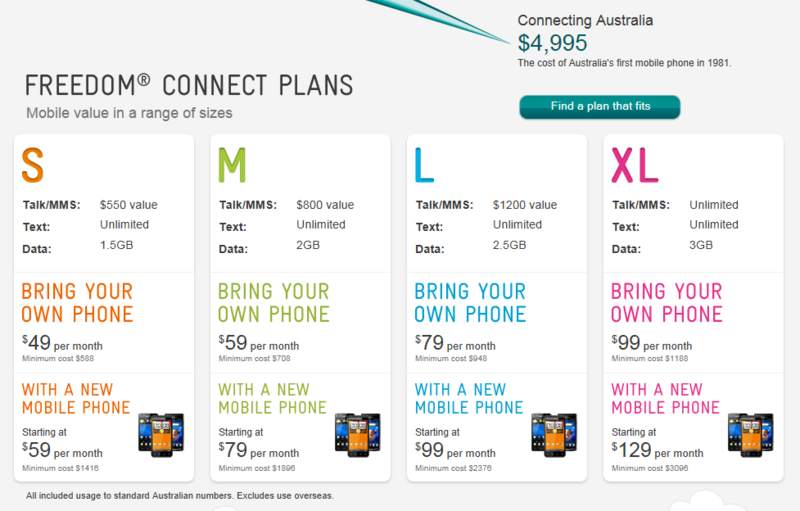 Don’t even get me started on the fact that Telstra was the second last carrier in the world to roll out the NoDo update, and still shows no sign of deploying the HTC tethering update or the 7740 voicemail-notification patch. Are you paying attention, Microsoft? 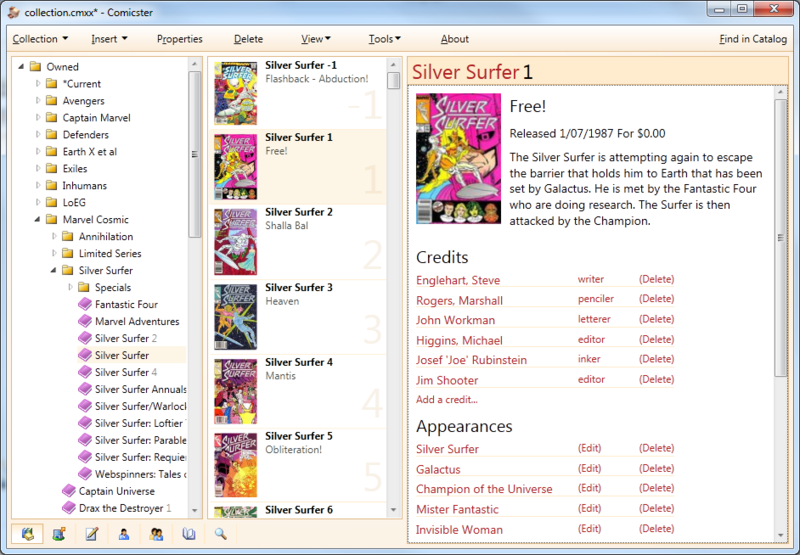 I’ve just uploaded a new extension for Comicster called Comicster.Searches.Top50. This extension adds two new custom searches: “Top 50 Characters” and “Top 50 Creators”. They display the 50 characters and creators in your collection by the amount of issues in which they appear. The results might surprise you! 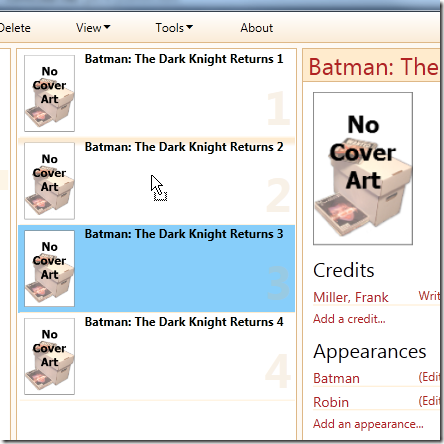 As with any Comicster extension, install it by clicking “Tools|Extensions” from inside Comicster! I’m a firm believer in guiding users through the process of using your application, so this was a no-brainer. What now? As a seasoned user (and the developer) I know to click the “Insert” button and add some comics to my collection, but Joe User, seeing Comicster for the first time, has no idea how to proceed. 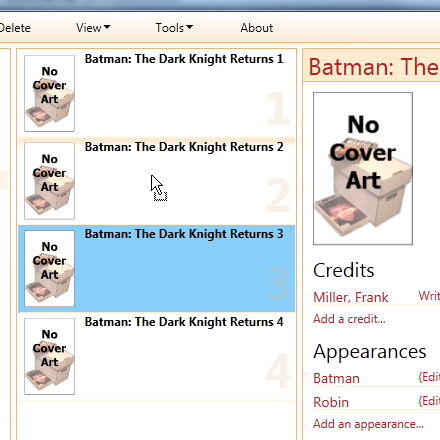 This should help new users find their way, and adds a certain “flair” to the “blank page” experience in Comicster. 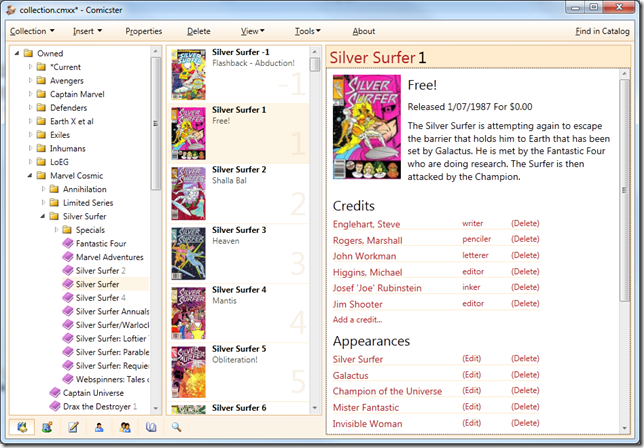 The latest version of Comicster has escaped, and it’s a doozy. 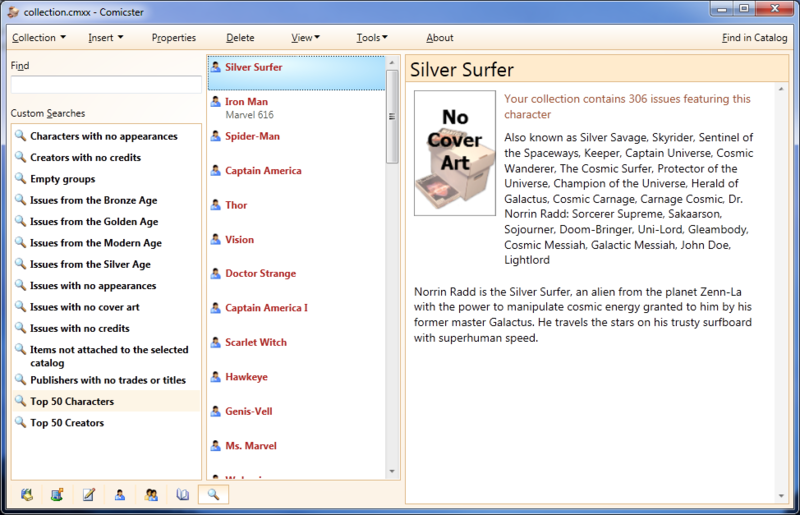 Extensions like skins and plug-ins used to live in a folder called “Comicster” under “My Documents”, but they now get installed under an “Extensions” folder inside there instead. 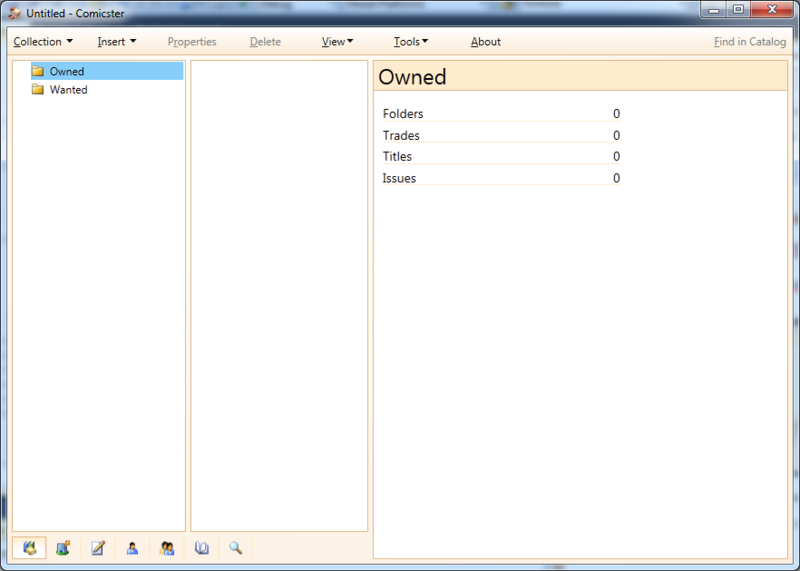 That means you can safely remove any DLL files you find in the “Comicster” file once you’ve upgraded. 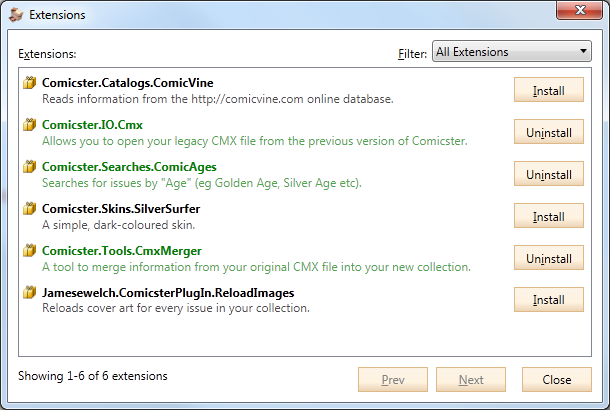 The one caveat with the new extension system is that extensions are not deleted from your local folder when you uninstall them from Comicster (since Comicster is still using them while the program is running). 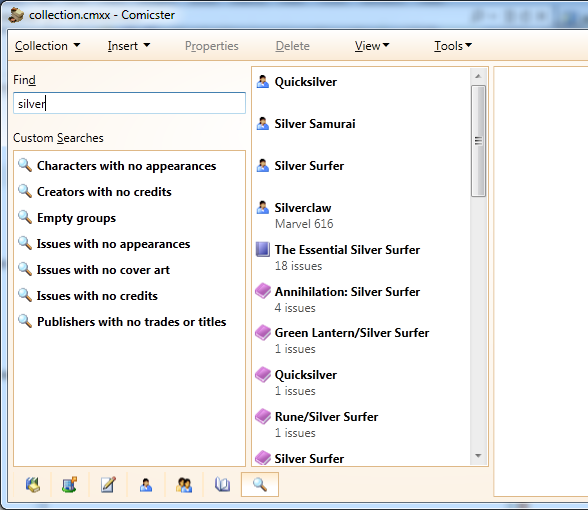 If you’re concerned about disk space, open up your “My Documents” folder and browse into “Comicster\Extensions” where you can see which extensions have been downloaded and delete the ones you don’t want hanging around. Also in this release is (at last!) 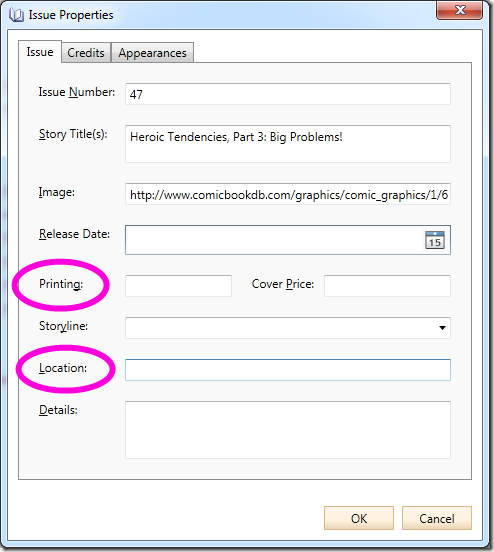 the ability to manually reorder issues inside a title. This is handy if you have an issue whose “number” isn’t a number at all. For example, the Earth X series had an issue whose “number” was simply “X”. It’s the last issue in the series and should appear that way when you’re viewing the title. To reorder issues in a title, make sure you’re viewing the title itself (rather than the folder it lives in) and then simply drag the issues around in the list. You’ll see a subtle insertion point above the issue you’re over, showing you where the issue you’re dragging will end up when you drop it. I’m also working with Jim Welch (avid Comicster user) to build up a decent knowledgebase of articles for Comicster. Look for them to be added to the “help” site as time goes by. Still lots to do! 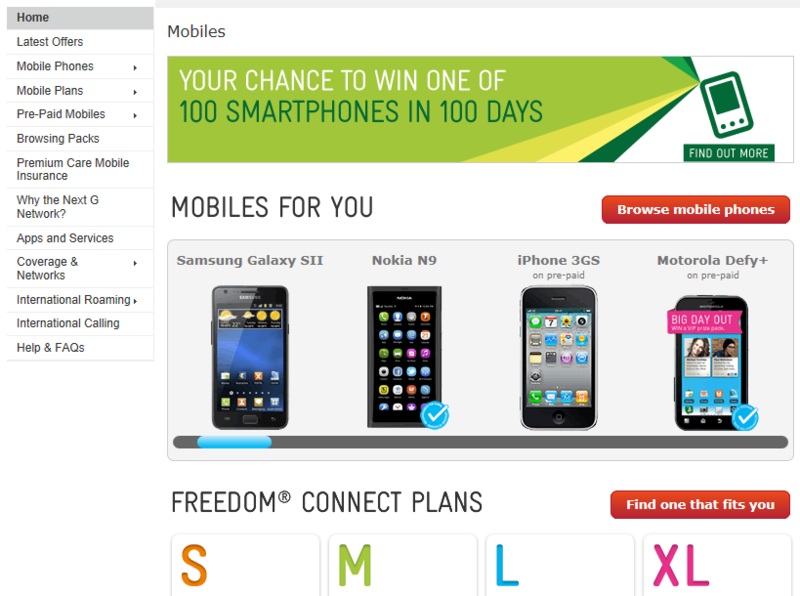 If you haven’t already, leave a comment in the forums! You might have noticed that the Comicster forums are offline. I’ve just moved madprops.org over to a new server, and have had to retire the old forums. The good news is that I’m getting some new, improved forums up and running over on the Comicster web site. Bear with me and I’ll update this post when they’re ready to use. 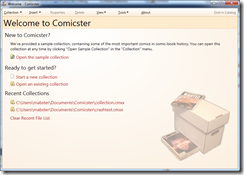 This is the first “live” part of the new Comicster web site, and will serve as a hub for support and forum discussions. Feel free to post a question and try it out. 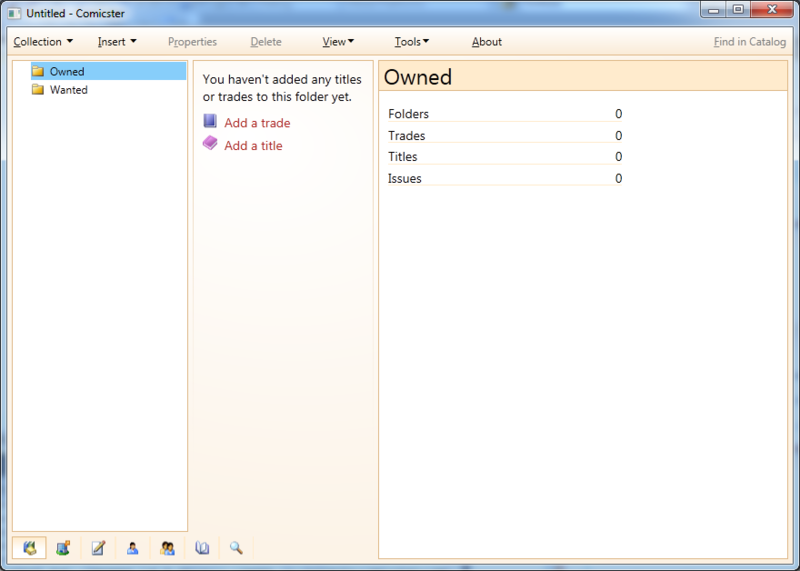 It’s currently running a free trial of the underlying software while I wait for an open-source account to be approved. There goes my free time for the next, I dunno, ten years. Version 4.0.0.14, just published, has a new button at the bottom left which brings you to the Search view (you can use Ctrl+F too). Let’s take a look! 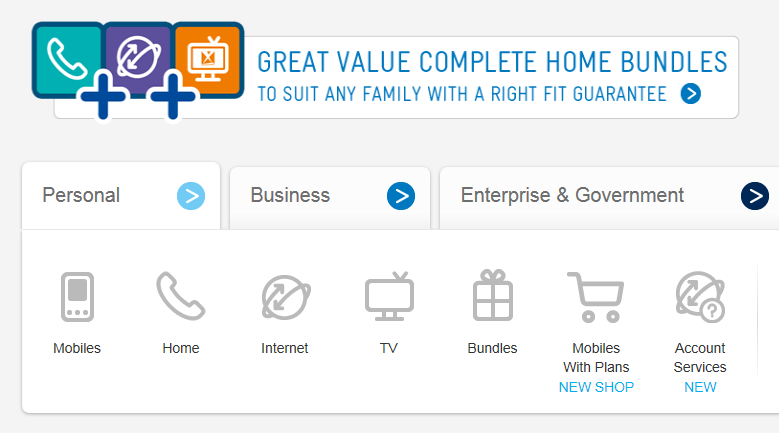 This search view lets you do a plain text search by typing in the “Find” box and hitting Enter, or a custom search by selecting an item from the list below. 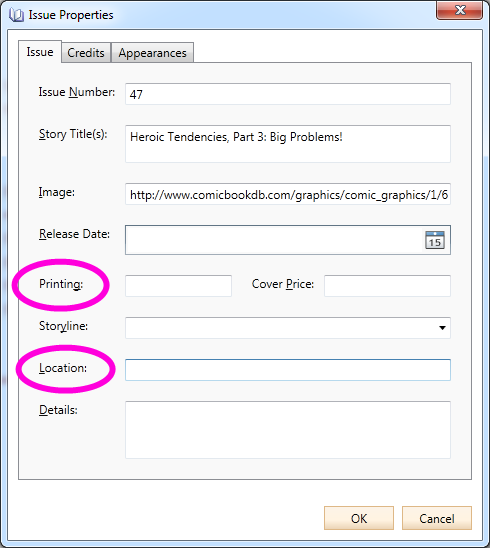 The best part is that the “Custom Searches” list might include plug-ins, so down the track we can expand that list without having to update Comicster! 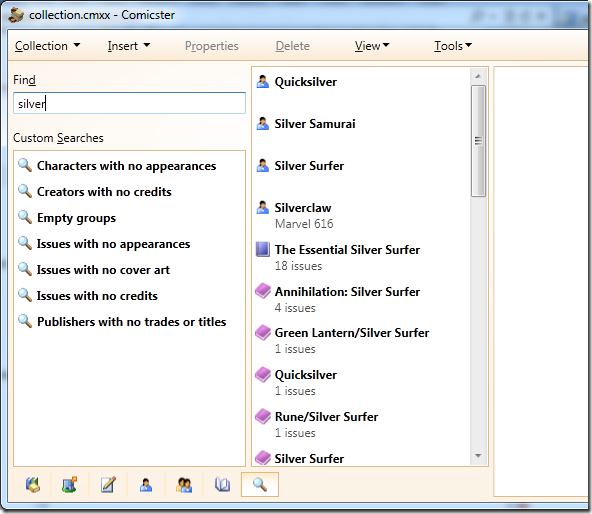 This is only the first draft – I have other plans for Search which will be realised in future versions. Right now I’m really happy with it, though. Give it a try and let me know what you think! 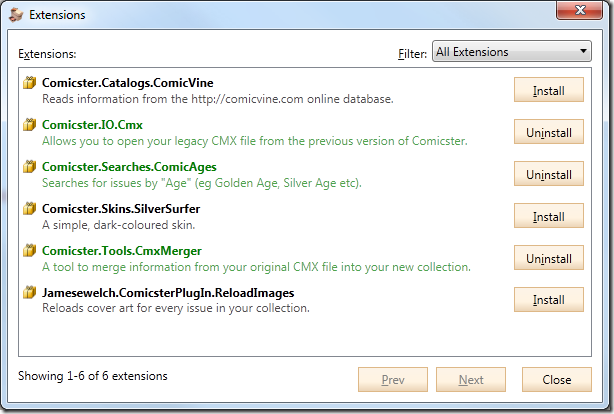 The CMX Merger tool has also been updated to import these values from your original collection file! Go get it!